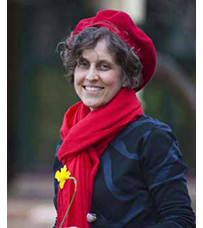 Anne Pender is Professor of English and Theatre Studies and was Australian Research Council Future Fellow from 2012-2016. English, Theatre and Performance, and Writing. 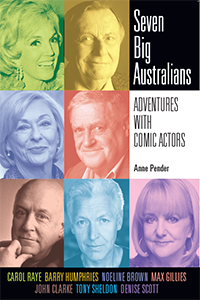 'Seven Big Australians: Adventures with Comic Actors', Monash University Publishing, Melbourne, 2019. 'John Clarke: The Man, the Mask and the Problem of Acting', Journal of Comedy Studies, Spring, 2019, pp. 1-13. 2019 Review of Michael Ackland’s Christina Stead and the Socialist Heritage, JASAL, March. Robyn Nevin, Patrick White and the Art of the Modern in Australian Theatre, Australasian Drama Studies, 71, October, pp. 68-88, 2017.‘Players’, A Series of Biographical Essays, AustLit Online, 2016. ‘Learning to Act: Tony Sheldon’s Emotional Training in Australian Theatre’, Humanities, 5, 72, pp. 1-10, 2016. ‘Theatre Animals: Sumner Locke Elliott's Invisible Circus’, Australasian Drama Studies, 68, April, pp. 54-74, 2016. Good Works: An Introduction, in Good Works, by Nick Enright, Currency Press, Sydney, pp. vii-xiii, 2015. ‘Worlds Within: Hayes Gordon, Zika Nester, Henri Szeps and the Transformations of Australian Theatre’, Journal of the Association for the Study of Australian Literature, 15, 3, pp. 1-12, 2015. Actors and Heroes: My Brother Jack and the Great War on Television, Metro Magazine, No 184, Autumn 2015, pp. 96-101. Eat, Pray, Laugh! ': Barry Humphries, Reg Livermore and Cross-dressed Australian Burlesque, Australasian Drama Studies,Vol 63, October, pp. 69-83, 2013. From a Distant Shore: Australian writers in Britain 1820-2012, by Bruce Bennett and Anne Pender, Monash University Publishing, 2013. 'Kerry Walker, Patrick White and the Faces of Australian Modernism', Coolabah (9), p. 75-87, 2012. One Man Show: The Stages of Barry Humphries, ABC Books, 2010. "The Rude Rudiments of Satire‚: Barry Humphries‚ Humour", A Serious Frolic: Essays on Australian Humour, ed. Peter Kirkpatrick and Fran de Groen, UQP, pp. 189-201, 2009. Nick Enright: An Actor's Playwright, co-edited with Susan Lever, Rodopi, Amsterdam, New York, 2008. "Nick Enright: A Life in Theatre", Nick Enright: An Actor's Playwright. ed Anne Pender and Susan Lever, Amsterdam/New York, pp. 17-26, 2008. "Summer Rain: Sweet Nostalgia", (co-authored with Susan Lever) Nick Enright: An Actor's Playwright. ed Anne Pender and Susan Lever, Amsterdam/New York, pp. 173-184, 2008. "Modernist Madonnas: Dorothy Todd, Madge Garland and Virginia Woolf", in Women's History Review, Vol. 16, No. 4, pp. 519-533, 2007. Christina Stead Satirist, Common Ground, Melbourne, 2002.